I'm Robert J. Klassen, family lawyer in Victoria. My goal is to guide you—compassionately and pragmatically—through a difficult time in your life. Founder of the Collaborative Family Law Group in Victoria, I endeavour to resolve matters related to divorce, separation, spousal support, parental rights and parental agreements without using the costly, convoluted and public court process. I have been a Family Lawyer in Victoria, BC for the past 35 years and practise primarily Collaborative Family Law. This focus allows me to provide individuals and families unique legal solutions, resolving matters without being combative, while still achieving realistic and respectable outcomes. Together, we can restructure the family with emotional and financial confidence. 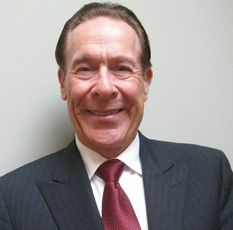 As of March 18, 2013, the new Family Law Act has specifically designated the Collaborative Process as an alternate Dispute Resolution Option and has created significant changes to all aspects of family law. The Collaborative Family Law process is NOT adversarial, AND IS cost-effective and solutions-oriented without using the courts. The office of Robert J. Klassen serves its clients resolutely and with pleasure. Please contact us.